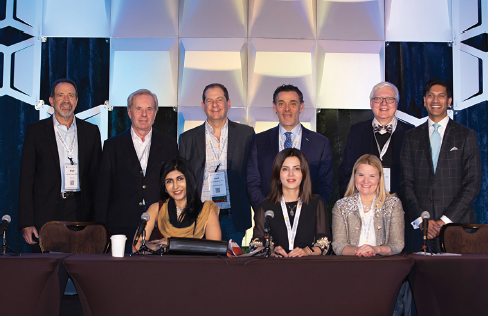 Cosmetic Surgery Forum (CSF) is the meeting where experts are not afraid to speak their minds and name names, and this year’s meeting did not disappoint. Held at the trendy Cosmopolitan hotel in the heart of the Las Vegas Strip, CSF featured 50 sessions, nightly mixers, and the always-lively exhibit floor. 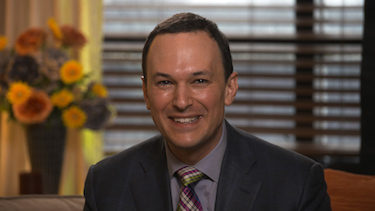 Dr. Schlessinger addresses attendees at the 10th annual Cosmetic Surgery Forum in Las Vegas. 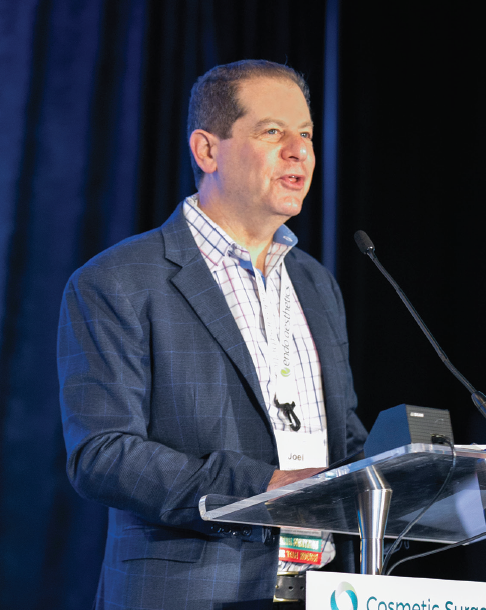 Bexley, OH dermatologist Matthew J. Zirwas, MD regaled the crowd with a keynote on staying forever young (not just looking younger, but actually living longer). After taking a deep dive into research on longevity, Dr. Zirwas identified some actionable items to help us live past 100, including caloric restriction (800Kcal/day for women and 1200Kcal/day for men) and taking Metformin regardless of diabetic status. He practices what he preaches—Dr. Zirwas says he has been taking the blood-sugar regulating prescription for years. Staying optimistic also helps, and there is a growing body of evidence that coffee is the ultimate health drink, he told the crowd. Leading experts convene at the 10th annual CSF for a lively panel discussion. 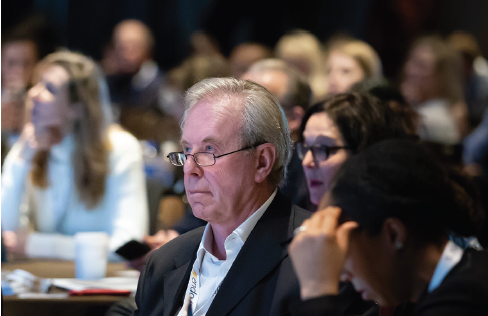 CSF featured 50 sessions for attendees on controversial and timely topics. 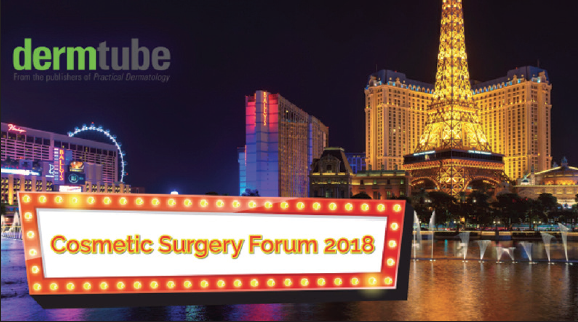 Don’t miss DermTube’s coverage of CSF 2018. 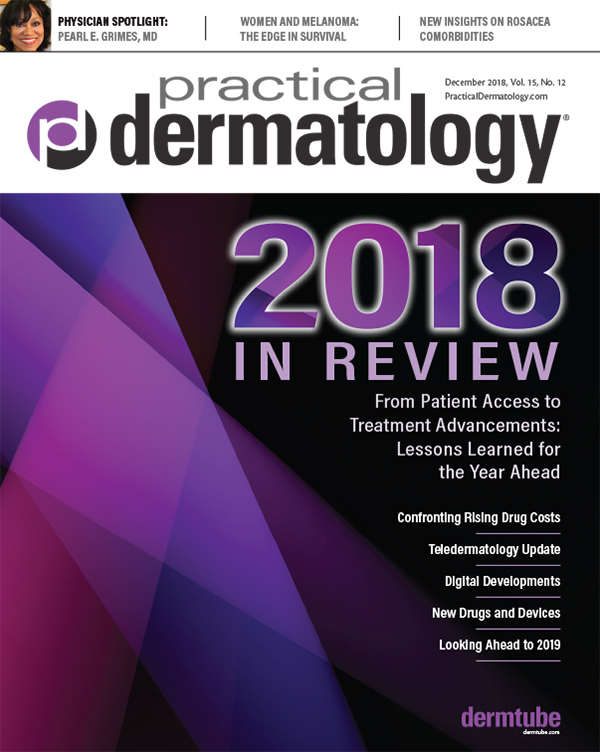 With host Joel L. Cohen, MD, leading experts recap the hottest presentations and panel discussions, including vaginal rejuvenation, PRP, cosmetic controversies, the trend for natural looking results, the toxin pipeline, and more! Judging by the questions and copious note taking in the audience, many attendees plan to join Dr. Zirwas in ringing in their Centenarian birthday. 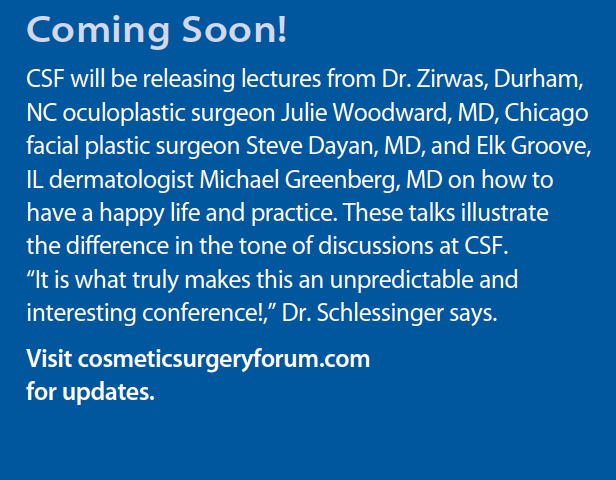 CSF faculty are always asked to share their favorite cosmeceuticals and devices with the crowd. And this year, Clarisonic got a lot of love, largely because the company is getting back to its roots in dermatology. Along with the tried-and-true skin care faves (Alastin, Sente, Defenage, EltaMD, Isdin, and SkinCeuticals, to name a few), Under Skin (U.SK), a new company out of Italy, got a lot of props from panelists who are enamored with the company’s approach to hyperpigmentation and melasma. One product, Advanced Defense Booster, contains ferulic acid, maslinic acid, and the U.SK Biocomplex (a combination of olive tree leaf extract with biopeptides), micronutrients, and vectorized hyaluronic acid and results in an 82 percent melasma improvement when used properly. CSF never shies away from controversy, and this year the faculty took on the growing use of lasers and other energy-based devices for female rejuvenation in light of the recent FDA warning that the safety and effectiveness of such devices for the treatment of vaginal “rejuvenation” or procedures intended to treat vaginal conditions and symptoms related to menopause, urinary incontinence, or sexual function has not been established. 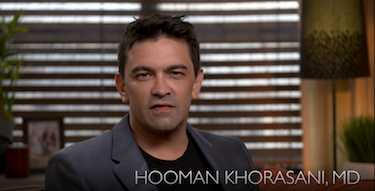 Doris Day, MD, a New York City dermatologist, chatted with DermTube host and Greenwood Village, CO dermatologist Joel L. Cohen, MD, about the controversy. “One of the issues is calling it rejuvenation. It is not rejuvenation as much as it is restoration,” she explains. The FDA action is not a bad thing as it is encouraging companies to do the studies in order to show the benefits of these procedures, she says.